Warcraft superfan Alan evaluates Legendary Pictures' Warcraft film, which hits New Zealand cinemas this week. 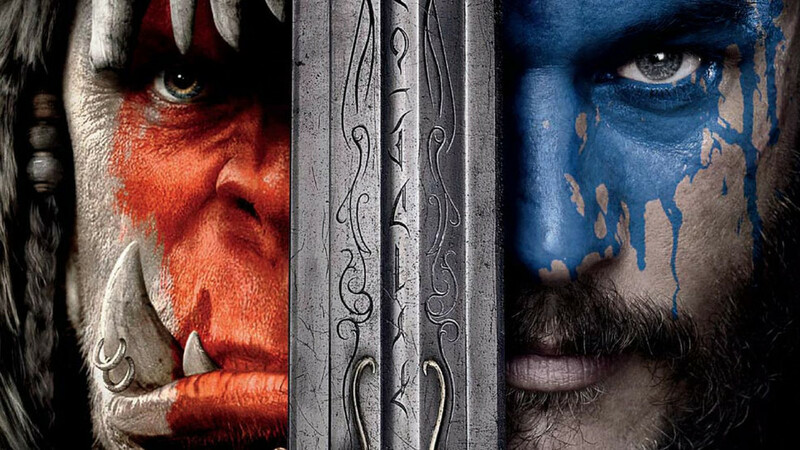 Announced just over 10 years ago, Warcraft – the film – is finally a reality. Out on Thursday in New Zealand, Warcraft draws much of its inspiration from the massively multiplayer online game World of Warcraft. Fans of that game, as I found out when I went to see the film at its world premiere in Los Angeles, are the ones best served by Duncan Jones’ film, but that doesn’t mean everyone else is left out in the cold. Launched in classic Hollywood style – complete with a long red carpet, screaming fans, and a packed press cordon – anticipation for the film’s release seemingly reached its zenith at the exact right time for its promoters. In addition to the film’s stars, the press, and fans, Legendary Pictures had also assembled a cast of cosplayers and extras in film armour (as designed by New Zealand’s own Weta Workshop), giving the whole affair a decidedly game-convention-like feel. At the start of the film, we’re introduced to a clan of intimidating creatures called Orcs. Known as the Frostwolves, these simple hunter / gatherer types find themselves swept up in a Horde of other Orc groups about to invade a world dominated by humans. While the stage is clearly set for what seems likely to be a good versus evil encounter, it’s quickly made clear (even for those who aren’t already aware of the storied franchise’s history) that “good” and “evil” are relative terms – not something that should be used to broadly group entire races. The story presented in the movie varies in small ways from the specific detail established in the games and books of the Warcraft universe, but it’s easy enough to follow, and should be consumable by those new to Blizzard’s franchise. There are some assumptions made about the audience’s knowledge but, like most fantasy epics, a little bit of “just going with it” will get newbies to where they need to be in short order. The way in which the beloved Frostwolves are treated, however, seems somewhat out of sync with the reverence shown to them in Christie Golden’s “Durotan” prequel novel. Additionally, the rapidity with which certain characters change allegiance or make assumptions about each other seems more about moving the plot along than it is about creating believable drama. VFX studio ILM has delivered a solid set of visual effects for the film, with the Orcs standing out as a particularly impressive accomplishment. 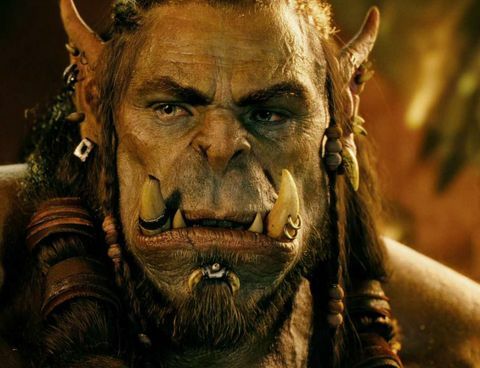 The combination of computer-generated imagery and performance capture from the actual character actors results in a set of realistic, likeable Orcs. They look great on the big screen while simultaneously being extremely true to the familiar gaming characters they’re based on, which is quite the trick to pull off. Fans of the game will love the numerous touches director Duncan Jones – himself a player and fan of World of Warcraft – has managed to include. Everything from depictions of famous game locations like Stormwind, Karazhan, and Goldshire to weapons, gryphons, and spells feel exactly right, and leave you wondering what a game with next-gen technology set in the Warcraft universe might look like. There are many Easter eggs to spot, too, including characters and locations that aren’t specifically called out or shots that map one-to-one with game cinematics. As far as fan service goes, Warcraft gets almost the perfect score – missing out on top marks only because there’s no apparent nod to Leeroy Jenkins. Is it worth watching? That really depends on what you yourself bring to the screening. If you’re a fan of Blizzard’s universe, there’s no question – Duncan Jones does more than enough to warrant a watch. It looks cool and is packed full of neat little nods to the rich Warcraft world. If you’re not already familiar with Warcraft, however, it’s a tougher one to recommend. There’s plenty of action and the pacing is good, but the story - while easy to follow - is awkward in parts and key character motivations are hard to relate to. The humans, too, while technically the “good” part of the “good vs. evil” narrative, aren’t overly likeable or believable. It’s also likely that those unfamiliar with WoW’s locations will be confused by how regularly Jones moves from place to place throughout. Still, it’s a fun film for the most part and if you go to it with popcorn in hand you’ll probably have a good time. It’s not the best movie ever made, but it is one of the best movies-based-on-games; take that however you feel is appropriate.